We have full baskets this week! The tomatoes keep coming and they are gorgeous this year. Quite a few tomato plants have suffered from disease over the past few years, so it is nice to have such a stellar year. Each season is so different from the last, and crops, weather, and pests can be completely unpredictable. Farmers are always working their hardest and using tried and true techniques that they hope will assure success, but they just never know if something they haven’t considered or have no control over could throw a wrench in the works. Such an occurrence happened last week, when the green beans that we expected from Whipstone Farm didn’t materialize. When it came time to harvest they just didn’t have enough beans to fill the order, so they sent carrots instead. We thank all of you for your patience and understanding. Sometimes farmers’ plans just don’t work out! This will probably be the last week for potatoes, and we have a delicious variety called Austrian Crescent, a yellow fingerling. Your basket will also include three different varieties of cucumbers, one of which is called Tasty Jade. Let’s hope it lives up to the name! 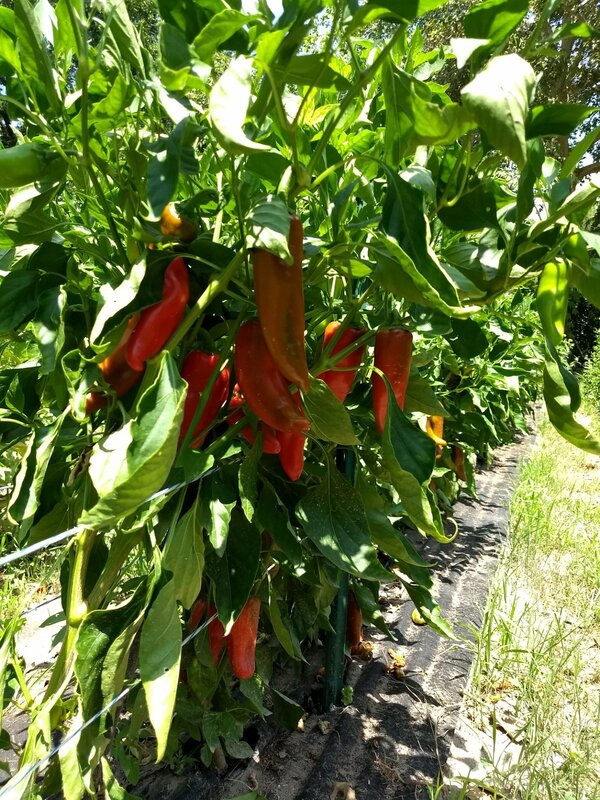 In addition to shishito peppers this week we have the thin-skinned Italian pepper pictured below. Enjoy these new varieties and let us know what you think! 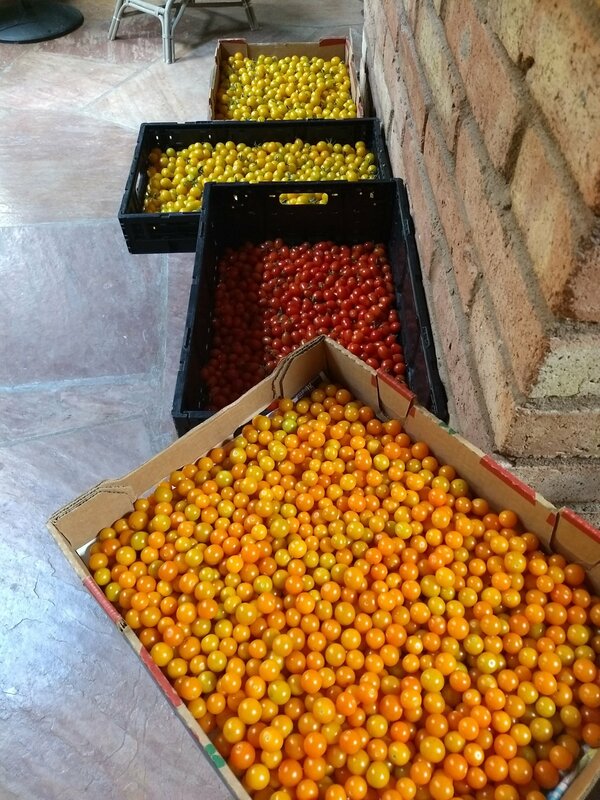 A rainbow of cherry tomatoes! 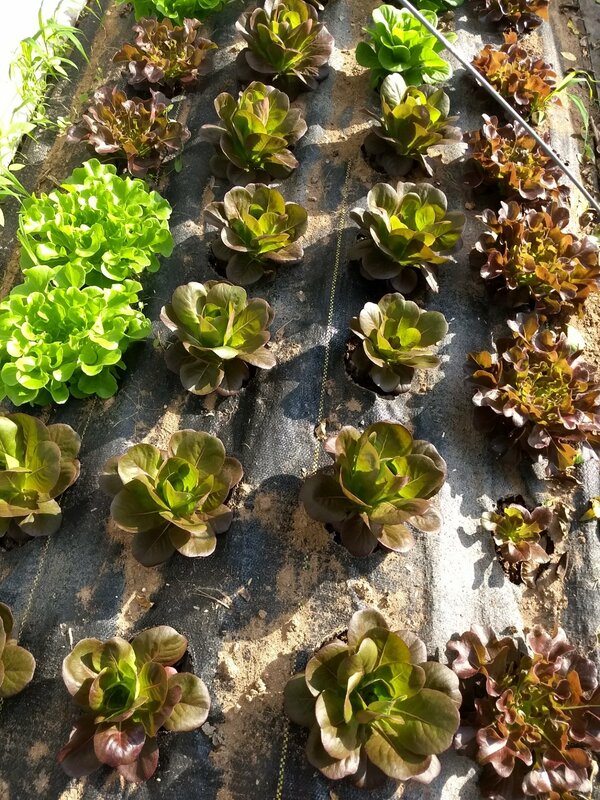 More lettuce will be coming soon. 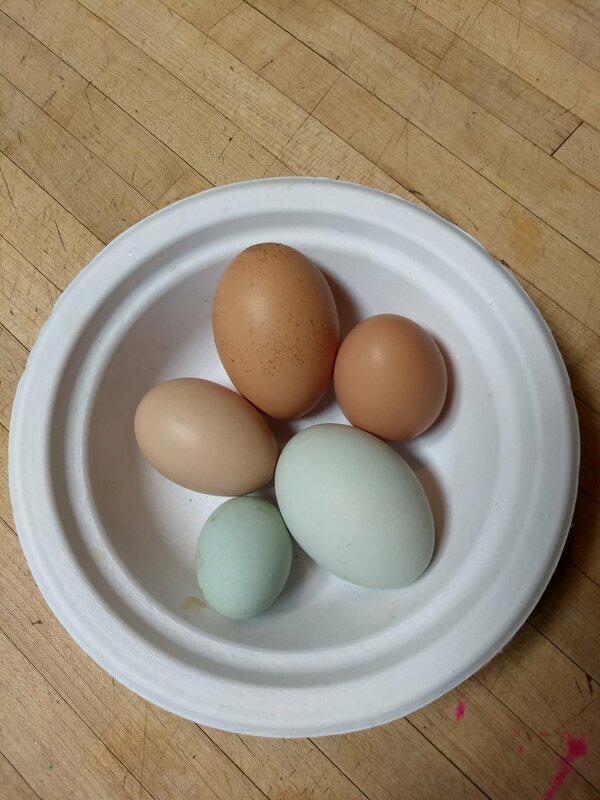 The young hens have started laying and there is quite a range of sizes and colors in the nest boxes these days. 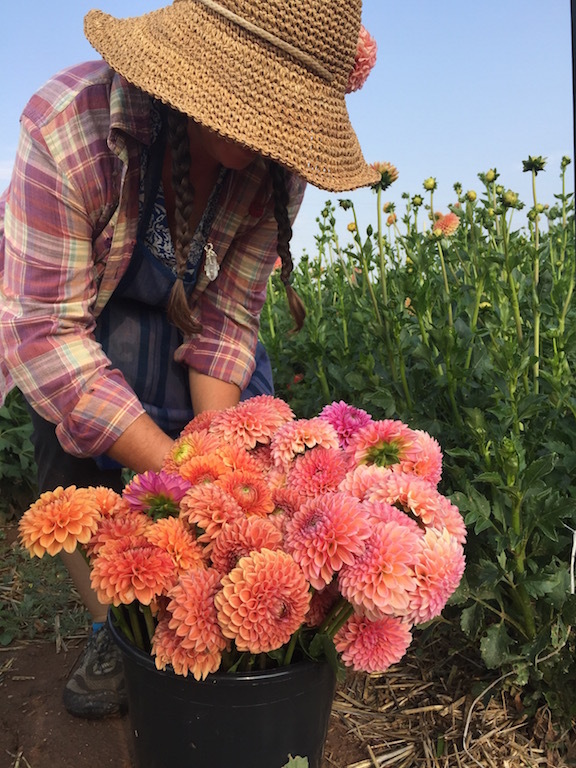 Hoping for some of these beautiful dahlias from Whipstone Farm this week!